To set preferences for the HP Insight Management Agents, select SNMP to SNMPWMIPreference. 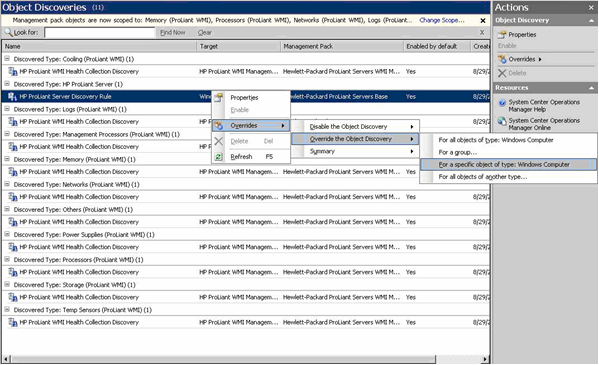 To set preferences for the HP Insight Management WBEM Providers, select WMI to SNMPWMIPreference. You can override setting to all servers or each of the servers. 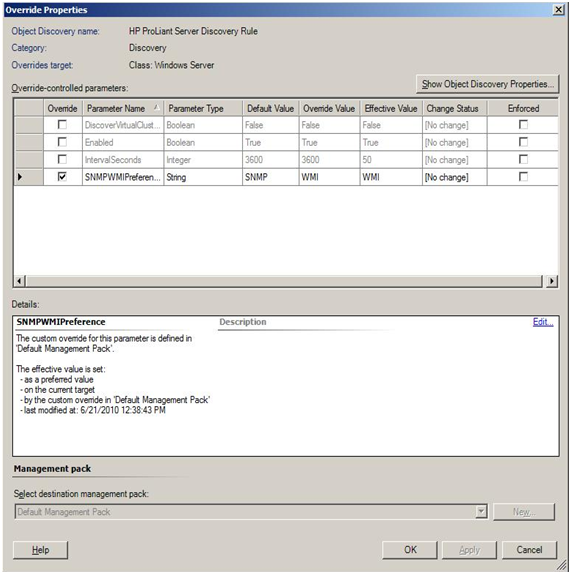 From the Operations Manager 2007 console, select Authoring>Management Pack Object>Object Discoveries. 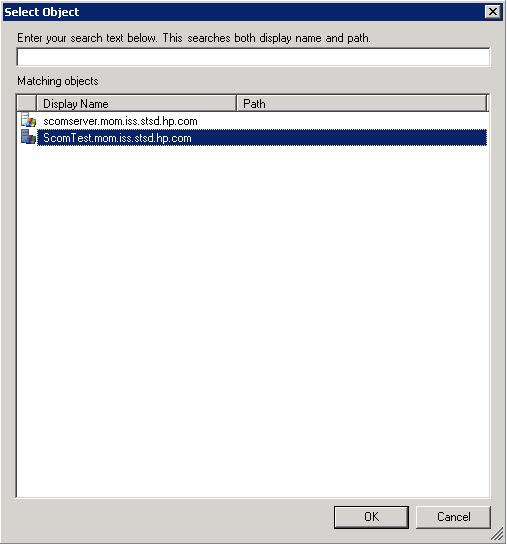 To override a single server, right-click HP ProLiant Server Discovery Rule, and select Overrides>Override the Object Discovery>For a specific object of type: Windows Computer. Search and select the server to be managed by HP Insight Management WBEM Providers. In the override-controlled parameters of the Override Properties window, select SNMPWMIPreference to match the override setting of WMI. Click OK, and then close the Override Properties window. To override a single server, right-click HP ProLiant Server Discovery Rule and select Overrides>Override the Object Discovery>For all objects of type: Windows Computer.